1. Get a membership so you can join the RuneScape Members Loyalty Programme. If you remain RS member for several months, you can accumulate some points for rare items. 2. Once you have a membership, go to Treasure Trail. If you have good luck, you could reap big rewards there, even if you are a beginner on level 1. 3. For non-tradeable items, try events. Repeatable or ongoing RuneScape event items can only be obtained only this way, and in some cases through game cards. 4. If you see a party hat or other RuneScape item that you like, try borrowing it. Other players may lend you their items for short periods of time much cheaper than buying the items. 5. Try to buy rare RuneScape item from the Grand Exchange or Solomon’s General Store. 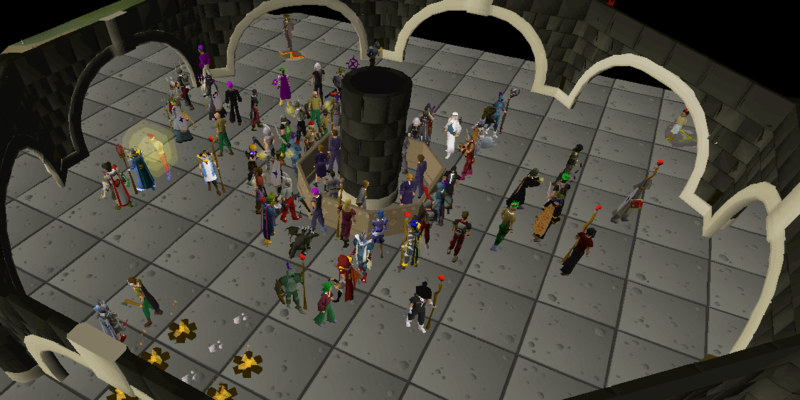 Of course, for that you may need several millions or even billions of RuneScape gold. This entry was posted in How-To Tips & Tricks, Latest OSRS News, Old School RuneScape, OSRS Mobile App, RuneScape 3 and tagged buy old school runescape item, buy oldschool runescape gold, buy osrs items, buy runescape gold, cheap OSRS gold, runescape 2007, runescape 3, sell oldschool runescape gold, sell rs2007 gold, sell runescape gold. Bookmark the permalink.